Born and raised in the Netherlands, but I like to travel and explore the world. I am currently working as a chief editor for Pauw&Witteman, a live late night talkshow (current affairs). Before this job, I worked as an editor, camjo and reporter. Some time ago I did a BA in Journalism. I started the Master New Media in September 2012, to learn more about possibilities and use of new media. Interests: composition of old and new media, (worldwide) politics and new media culture throughout the world. During their campaign for the 2002 Dutch elections, politicians were mainly using blogs as a mechanism to advocate their ideas on the Internet. In 2006 podcasting and postings on the Dutch Facebook equivalent “Hyves” were added as additional ways of communicating more direct with possible voters. And now, 2012, almost all politicians use social media such as Facebook and twitter. Only a few days before Dutch elections on September 12th 2012 an examination of the “Rijks Universiteit Nijmegen” concludes that online campaigning in the Netherlands directly leads to the rather limited amount of 500 preference votes. The research consisted of analysis of the use of social media by all 493 candidates of the ten parties that received at least one seat in the Dutch 2010 election and the impact positive or negative. Over the past years politicians worldwide have increasingly tried to establish direct relationships with citizens by using social media. The most successful example of this trend is probably Barack Obama. During his Presidential Campaign in 2008 he used the so-called “grass-roots campaign”: he and his campaign team committed voters and non-habitual voters by making phone calls, sending text messages and using interactive websites. 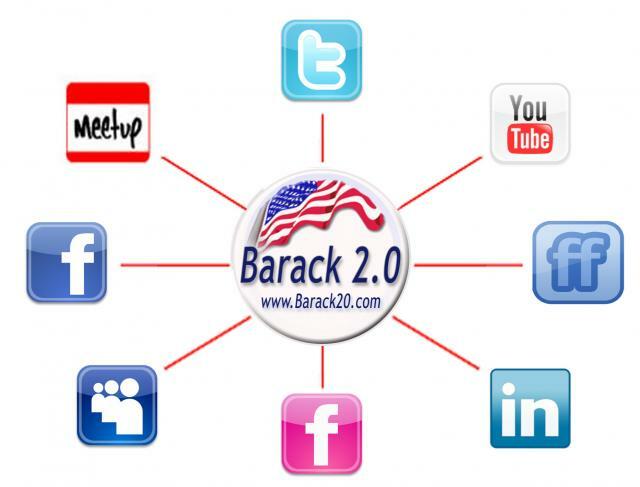 This way, Team Obama mobilised millions of voters by using social media. An example: his text message service. It was simple, but efficient: If you texted HOPE to 62262 (OBAMA), you received events in your area, downloadable ringtones with Obama’s voice, campaign updates and the latest news. His followers received the news that Jo Biden was his vice-president sooner than the traditional media. The outcome was successful: people wanted to be part of the in-crowd Obama group and joined his team. It’s too easy to say this is the main reason why Obama won unexpectedly in the states of Florida, Colorado, North Carolina and Iowa. But his popularity certainly benefited from the extensive use of social media. He won the elections and the rest is history. How do Dutch politicians use social media in 2012? First and foremost it is necessary to spread out the Dutch political system. The Netherlands is a democracy using a parliamentary system. The House of Representatives holds 150 seats. The country has a constitutional monarchy, but the Queen has no political power. Direct elections for the House of Representatives are held every four years. The last elections were held in 2010. The coalition of VVD, CDA and tolerate partner PVV collapsed in spring of 2012. On September 12th 2012 new elections are held. Voters can vote for politicians of 21 parties participating. The 150 seats are representedly divided under the parties. In the latest polls VVD (People’s party for Freedom and Democracy) and PvdA (Labour party) are fighting for the lead. : the VVD is only one seat ahead of the PvdA (September 7th, 33 / 32 seats). With only 5 days before election day still 43% of the voters are still floating. Dutch political party “GroenLinks” called a meeting in 2009, a year after Obama’s elction. The title: “De lessen van Obama” (Obama’s lessons). Initially, Dutch GroenLinks politicians were only partly interested in Obama’s social media tactics and did not actively use the same kind of mechanisms. Nowadays, all GroenLinks politicians are media adapts as well. One year later, in 2010, Job Cohen became the new leader of the Dutch Labour party PvdA. Fans of his started the Facebook page “Yes we Cohen”, referring to Obama’s campaign slogan. In a few days the fan page on Facebook collected 13.000 fans. 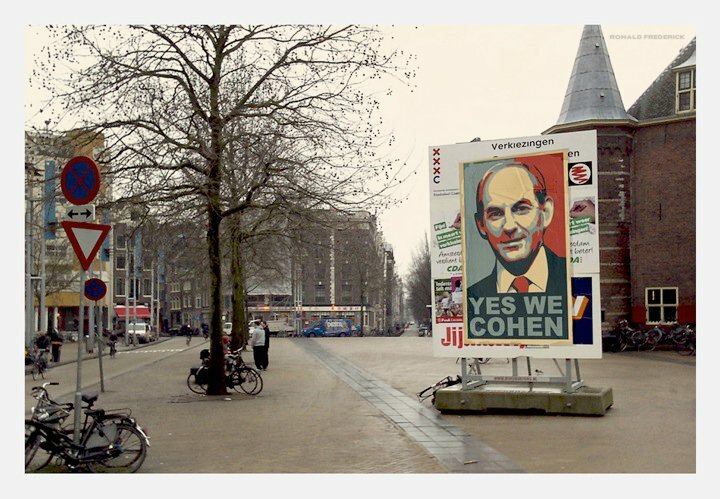 In the wake of it, on the Dutch version of Facebook, Hyves, people also started a ‘Yes we Cohen page’, there was a campaign song ‘Yes we can, Cohen’, at least two fake Job Cohen twitter accounts, and “Yes we Cohen” t-shirts and posters were for sale. Socialist Cohen has been replaced by Diederik Samsom as political leader in the political campaign for the coming elections. Samsom and his opponent Mark Rutte, Dutch Prime Minister and political leader of the liberal VVD are neck-and-neck in the competition to win elections. One would think that in these days all politicians make active use of social media since every vote counts. But when I looked at the facts regarding these two opponents, the story is surprisingly different. Both have their own webpage (www.diederiksamsom.nl and www.markrutte.nl). On the front page they both refer to social media. So far so promising. On Facebook, Samsom has 6094 likes, Rutte 3617. Mark Rutte only posted once (!) on his page, on August 22nd. Diederik Samsom is a more active user of more Facebook. Since the start of the campaign, the first debate being on August 14th, Diederik Samsom posted 12 times, mostly announcements of television appearances. Always including pictures and links of the performance. Compared to Obama in 2008, it’s nothing. The American President had 2 379 102 supporters in 2008. Searching for both persons on twitter, Samsom has two almost identical hits. The first twitter account found is the official account (16.427 followers), the second one is Samsom-bashing. Trying to find “the real” Mark Rutte on Twitter is harder: 10 results, ranging from Mark Rutte diary to Mark Rutte prime minister and minpres. The last one is the formal one. Both of them neglected the possibility of reporting fake accounts. When looking at the twitter behavior, we find out that Rutte has 120.617 followers, but is following no one himself. He wrote 9 tweets since August 14th, all about his presidential activities. Diederik Samsom uses his twitter to communicate with followers. He follows 687 people; he tweets, retweets, replies regularly on comments and wrote over 75 tweets during the last four weeks. Samsom interacts with his audience and writes a lot more, but the prime minister with hardly any text has over 7 times more followers. Also see: social media comparison. Comparing this information to the social media activity of the other Dutch politicians both are using the media less than the average politician. A lot of political associates of political leaders Mark Rutte and Diederik Samsom are more active users on twitter and facebook. Earlier this week, Samsom called his opponent Rutte a lyer over a television. debate Mark Rutte did not respond to this attack on social media. But of his ten liberal party members of Mark Rutte tweeted almost directly this was not true. These ten liberals have 60.000 followers in total who all could read their text. The most influential twittering activist on politics in the Netherlands is journalist Jaap Jansen, who sends out over fifty political messages a day. When asked, “twitterking” Jaap Jansen told me Dutch politicians are still way beyond Obama and some of them still do not see the value of twittering. In vote numbers, that influence is not huge. The direct effect of the use of social media resulted in only 500 additional votes as said earlier. However, two points are to be taken into account. First of all: the world of social media is developing fast. The numbers in 2012 can be a lot bigger than the 500 additional votes. Secondly, the indirect effect – being the increase in more traditional media coverage as a result of the social media activities of a candidate – is not measured in the investigation. According to Jaap Jansen this indirect – non measurable – effect is more important than the direct effect. He brings up the story that Dutch political parties such as D66 and PvdA call their members to vote on social media polls discussing television debates. This way their leader comes out best and this influences floating voters. The Netherlands meets all requirements (fast internet connectivity, extensive use of smartphones, high percentage of the population having internet access) for politicians to make use of an “Obama strategy” on social media. Sadly enough, only a few days before the 2012 elections, the Dutch politicians are way behind their American counterparts.. Probably Rutte and Samsom are too busy running their campaign..
Hello very cool web site!! Guy .. Beautiful .. Superb .. I will bookmark your blog and take the feeds additionally?I’m glad to find numerous helpful information here in the put up, we need work out extra strategies on this regard, thank you for sharing. . . . . .